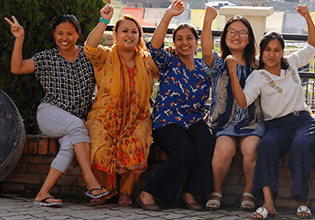 We are excited to share with you an update and introductory video on Global Fund for Women’s Movement Capacity Assessment Tool. Movements are critical to creating long-term social change. In order to continue building strong, effective movements, it is important to understand their strengths, needs, and priorities. The Movement Capacity Assessment Tool is designed to help movement actors to collectively assess the capacity of their movement and to spark discussion on how to address challenges. Our update includes an introductory video, available in five languages, and the opportunity to sign up for future updates via email. In 2017, Global Fund for Women piloted the tool in the context of five national movements and one regional movement. For example, we supported the Ukrainian Women’s Fund to engage women’s rights organizations and activists to use the tool to identify strengths, challenges, and priorities of the Women’s Movement in Ukraine. We also partnered with CARE International in Latin America and the Caribbean to assess the capacities of the Domestic Workers’ Movement in Colombia. A local lead organization who is part of the movement to spearhead the process is critical. This helps create local ownership of the process and the results, and helps navigate the complexity of movement politics. It is important to make sure the tool is used for the right reasons and in the right context. We developed the following checklist to help movement actors decide whether the tool is right for them. While planning takes time, it is equally important to ensure sufficient time to make meaning of the results and implications with the lead partner and with the participants. In-person meetings to discuss results and next steps are highly recommended. We’ve now closed our pilot process and are working to incorporate lessons learned and feedback from movement actors to improve the tool. We plan to launch a new version in 2018. Learn more in our video, and sign up at the bottom of this page to receive future updates on the tool and more information. Watch our new video to learn about our refined issue areas from our VP of Programs, Leila Hessini, and why and how we updated them. 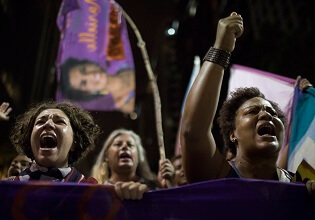 We're standing in solidarity with our partners and the women's movement in Brazil in calling for #JusticaParaMarielle.